Oval cufflinks. 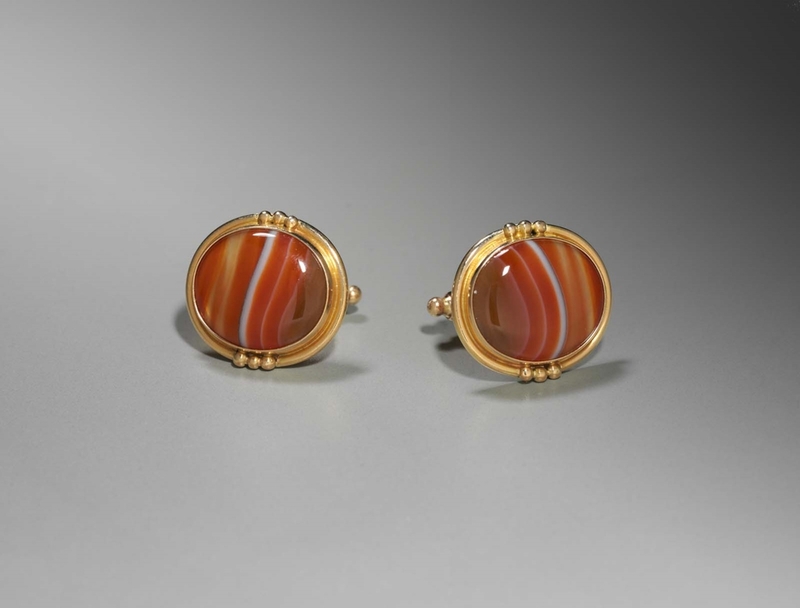 Gold frame with 3 small spheres on each of the longer sides encircle orange oval banded agate stone - inlaid. Marks: impressed “14k” on reverse.